Rock buckets are ideal for sitting and sorting material, clearing stone from farm fields, and removing debris from jobsites. Buckets retain rock and debris while digging. 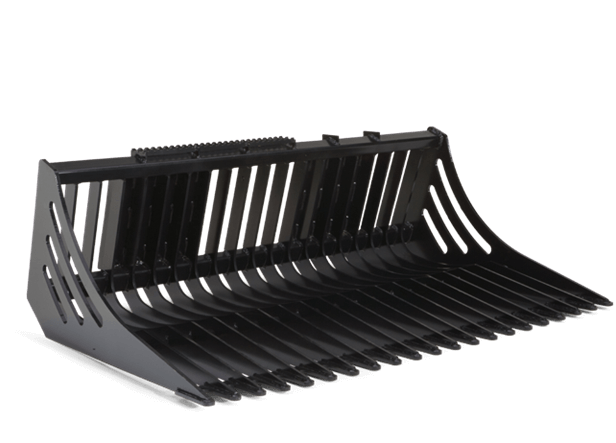 Like all Worksite ProTM attachments, these rock buckets are optimized to work with John Deere 300-Series Skid Steers and Compact Track Loaders, and are compatible with most competitive models.